Few tasks in benefits management are more time-consuming and expensive than performing due diligence on vendors or potential vendors. Starting now MBGH members can supplement or replace vendor due diligence with information from The Leapfrog Due Diligence Cooperative. This vendor due diligence information can save MBGH members tremendous time, resources and money. Plus, you have the peace of mind that comes with knowing you’re making the right decisions. This information is available at no cost to MBGH employer members through MBGH’s membership in The Leapfrog Group. 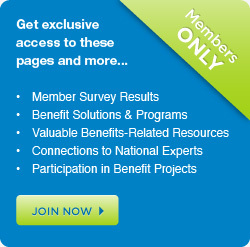 You must register with The Leapfrog Due Diligence Cooperative to access this member benefit. To register, go to http://www.leapfrogduediligence.org/join-the-cooperative.html. Make sure you indicate you are a member of MBGH on the enrollment form. Once you submit your enrollment form, Leapfrog will confirm you are an MBGH member and then email you a password. Use reports and tools to compare among vendors to select the one most appropriate for your employees. Keep an eye out for a new Cooperative tool now under development. The ROI calculator (coming soon) will let you determine a vendor’s impact for your specific organization!